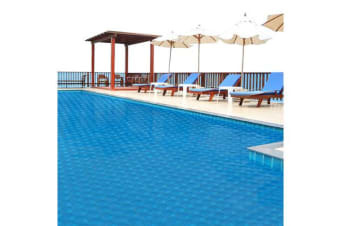 Swimming Pool Solar Blanket Covers are a must have accessory for pool to save your time, energy and money. Our thick solar blanket is constructed of UV-stabilized LDPE with thousands of tiny air bubbles that work to transfer solar heat into your pool water. This amazing energy-saving accessory transfers heat from the sun into your pool water and prevents that heat from escaping. 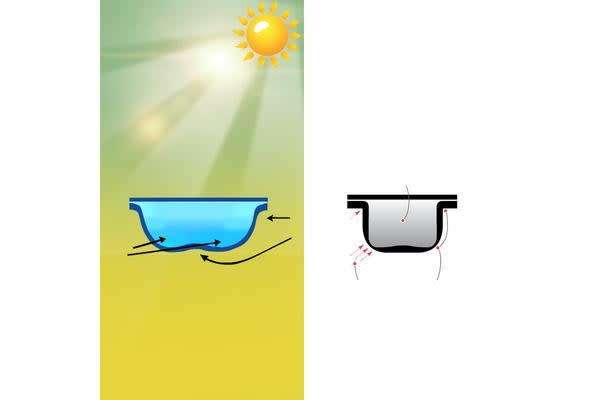 While transferring and containing heat in your pool, our solar blankets also help reduce chemical loss through evaporation, saving you money on costly chemicals and rebalancing. Extend your swimming hours and pool season with an economical and environmentally friendly way to heat your pool! 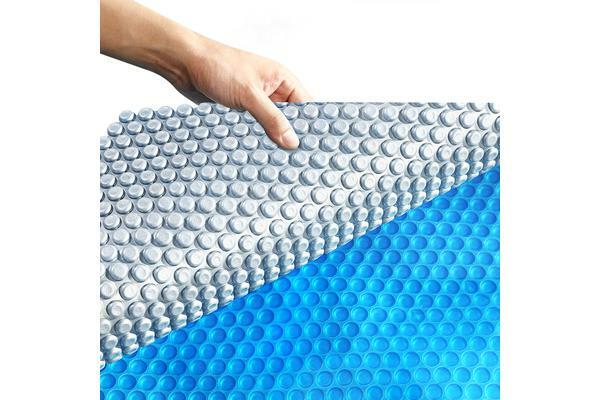 The Solar Blanket Cover can also be easily cut or trimmed to fit kidney, oval or irregularly shaped pools.